Do you live far from family and friends? WorldRemit is an online service that lets people send money or airtime to friends and family living abroad, using a computer, smartphone or tablet. 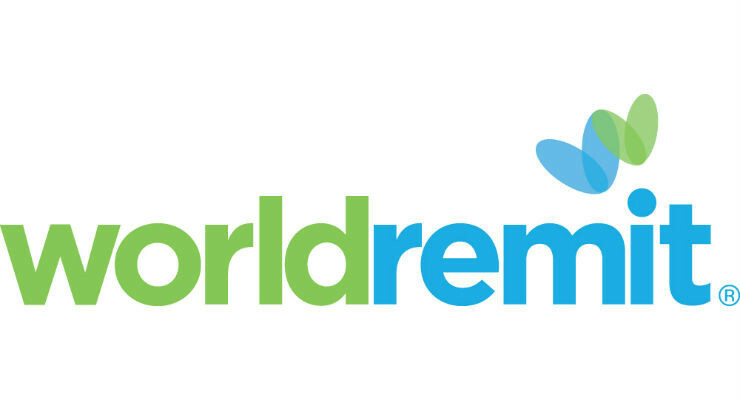 WorldRemit’s service is available to senders in 50 countries. We offer transfers to more than 140+ destinations across Europe, Asia, Africa, Australia and the Americas. It’s hard to be thousands of miles away from the people you care about. But it needn’t be hard to send money or airtime to them. Or receive money or airtime from them either. With WorldRemit it’s easy. Our low fees and exchange rates are shown upfront! WorldRemit offers greater convenience than traditional money transfer services that often require their customers to travel to a high-street agent. These older, more traditional services also tend to charge higher fees. Get your money to family and friends in minutes! Your money’s there in an instant – because we’re already there. We always get your money to the people you love fast. How? We already hold funds in all the countries we send to, so there’s no wait. And, as soon as your transaction’s complete, you and your recipient will be alerted with an SMS and email. It’s easy to use and we’re here to help round the clock! Sending and receiving money or airtime with WorldRemit is simple and seamless. You'll find the website and app instructions very clear and self-explanatory. Your money’s in safe hands with us. We’ve sent millions of transfers to over 125 countries! Every year WorldRemit goes from strength to global strength. And every month we seamlessly handle over half a million transactions, so you can be sure your money’s secure with us. Sending money with WorldRemit is so easy. 1). Choose the country you want to send to: WorldRemit offers a choice of over 140 different countries. 3). Choose how much you want to send: Enter an amount and WorldRemit low fees and exchange rates will be clearly shown. 4). Enter your recipient’s details: Add a new person by entering their details or choose from a list of people you’ve already sent to. 5). Pay and relax: Choose how you want to pay – bank account or debit/credit card - then confirm the amount. As you can see WorldRemit offers a choice of ways to send money, but please remember that not every service is available in every country. Whichever service you choose, the company’ll require certain personal details from you, to ensure each transaction is as secure as you’d like it to be. Take your first step: JOIN NOW! NOTE: The above link to sign up for WorldRemit contain my personal referral. If you sign up through my invite link and send at least 100 GBP, I will get 20 GBP and you will also get 20 GBP! However, if you decide to sign up without my invite link, you're welcome but both of us get nothing! WorldRemit's founder Ismail Ahmed first saw the opportunity to improve money transfers while at university. Studying for an MBA at London Business School, he needed to send money to family members in Africa. Every transaction meant an epic journey across the city to an agent who charged a small fortune in fees to send modest amounts of money. It seemed wrong to Ismail that an industry handling billions of dollars every year should deliver such poor service to its customers. Even then, he knew that change was needed. As an advisor to the United Nations, he helped companies comply with tough new money transfer regulations, introduced after the 9/11 terrorist attacks. In 2010, Ismail decided that the time and technology were right to shake-up this stagnant industry and he founded WorldRemit. In 2014 it was announced that WorldRemit had received the backing of Accel Partners, one of the world’s most high-profile investment companies, and an early funder of Facebook, Dropbox and Spotify. Accel invested $40 million, one of the largest ever Series A funding rounds in Europe. In early 2015, WorldRemit secured a $100m investment, led by Technology Crossover Ventures (TCV). Working with Accel and TCV, WorldRemit continues to expand internationally – launching in more countries, adding innovative ways to receive money, and developing new products and services such as our mobile apps. Even as WorldRemit grows we remain focused on delivering the best possible service to our customers– the people who made all of this happen. Our goal is to get your money – to your recipient – however they want it – whenever they need it. SIGN UP AND SEND MONEY NOW!